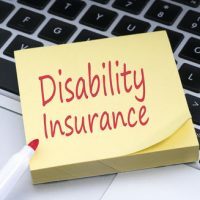 In most cases, applications for Social Security Disability Insurance (SSDI) benefits are approved or denied at the hearing phase, after the application has been rejected in the earlier appeal proceedings. The hearing phase typically involves a face-to-face meeting with an administrative law judge, in which the applicant presents arguments in his/her favor, and in opposition to, a government representatives who counters these arguments. Vocational experts are typically involved in these hearings and offer his/her opinion about what jobs the applicant can perform, given his/her limitations. It is important to note that, when giving his/her opinion, the vocational expert may rely on data gleaned from his/her experience, his/her client base, and various other sources of information. Recently, the U.S. Supreme Court agreed to hear a case in which the vocational expert refused to provide the basis for his conclusion, and, as a result, a Michigan applicant was denied SSDI benefits. The applicant maintains that, by the vocational expert not providing this basis, that he/she is not able to scrutinize, or even counter, the data on which the opinion was based. A discussion of the role of a vocational expert at an SSDI hearing, and some ways in which his/her opinion can be challenged, will follow below. Generally speaking, a vocational expert (VE) is an individual trained in all aspects of the labor market. As a result, he/she is able to ascertain the effect of a disability on an individual’s earning capacity, based on a determination of the skills needed to perform certain jobs. In an SSDI hearing, the VE gives his/her opinion as to what jobs a disability applicant can do in light of his/her impairments. Accordingly, this opinion is given great deference in determining whether a disability claim is approved. At the hearing, the applicant will present evidence about his/her disability and work history. The VE will then determine whether the applicant can do his/her past job, and if not, what transferable skills he/she have. Further, the VE will answer a series of hypotheticals to ascertain whether the applicant can do any other job, based on these transferable skills. If the VE determines that the applicant either can do his/her past job, or can transfer skills to another job, then his/her application will most likely be denied. Accordingly, it is crucial to challenge the VE’s opinion. For claims the applicant has skills that can be transferred to another job, questions about any physical requirements of the other jobs, to determine if the applicant’s physical challenges would actually eliminate these other jobs. Demonstrating the applicant did not learn the skill or skills required by other jobs. To challenge the number of positions available for other possible work, questions about the actual number of positions in the local and national economy for that job should be posed to ascertain whether the job exists in significant numbers. Being able to do another job would be impracticable if, in fact, only a handful of these jobs exists nationwide. In the end, it should be known that the applicant (or his/her legal representative) has the opportunity to cross-examine the VE after the judge has finished asking his/her questions. This opportunity should not be missed, and an experienced attorney will make the best of this opportunity, so that the VE’s opinion does not automatically form the basis of the judge’s opinion. If you have filed, or are considering filing, an application for SSDI benefits, contact a disability benefits attorney as soon as possible. The legal team attorneys at Farrell Disability Law have years of experience in disability benefits, and can help to educate you on what you will need to prove. We will also be able to help you understand not only the role of a vocational expert at your hearing, as well how any negative claims by the expert can be countered. 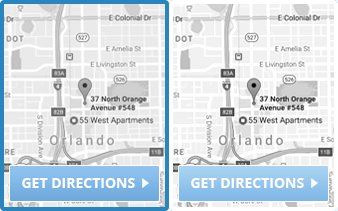 Upon a review of your situation, we will work to ensure that your application has the best chance at success. 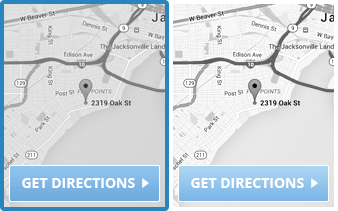 Contact our Jacksonville office today.